Built on the same technological foundation as our FireFighter X, the CropDuster X is not mission based, but instead it puts you into a completely dynamic world. It is intended for "low and slow" flying, a lot less dramatic, but nevertheless challenging. 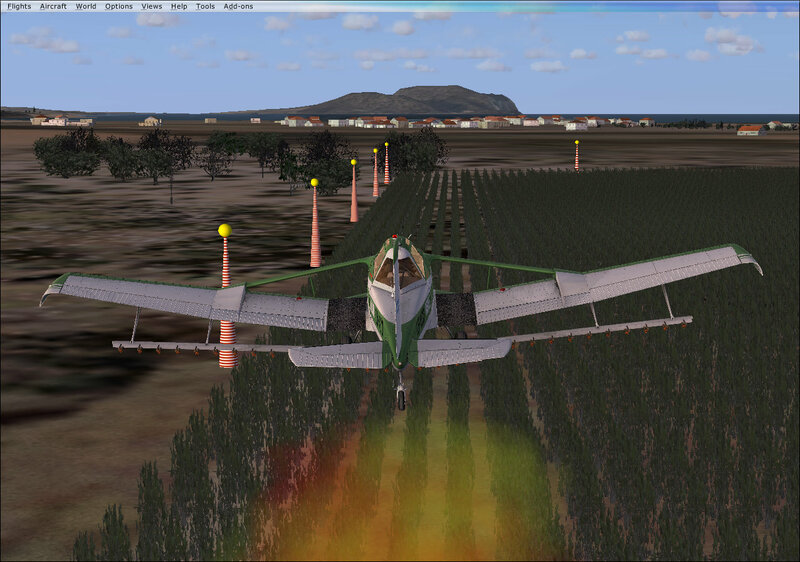 CropDuster X is a completely stand-alone addon for “Microsoft Flight Simulator X®” and “Lockheed Martin Prepar3d V2.5/V3.x®”, running alongside your sim. It dynamically generates fields suffering from three different conditions in random places in your simulator world. 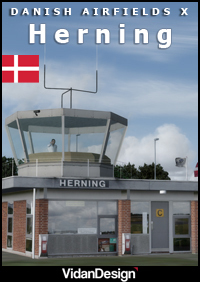 Just start your flight at the airport of your choice, using any aircraft in your hangar. Choose the correct dusting agent for the field you are going to serve (mind the weight!) and take off to fertilizing fields, watering dry crops or eradicating locusts. 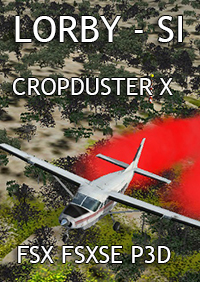 CropDuster X offers full multiplayer functionality out of the box, even across different simulator versions. No additional software is needed - but it is possible too to use CropDuster X alongside an existing multiplayer setup. - New spray control panel and gauge based on GPA values to make operations more realistic. •Generate fields with 3D plants at random or in any specific place you like. •Fields will suffer from three different conditions that need individual remedies. •Crop “health” will get worse over time. •Fly low! Dusting agents lose effectiveness very fast at altitudes above 50ft. •Fly precise! Don't waste dusting agent. Using the various pattern modes of the lightbar device you can spray your crops with an extremely high degree of accuracy. •A score is calculated based on how fast you manage to dust the crops before they start degrading.  •Send out AI airplanes to assist you. •Use any plane in your FS hangar. 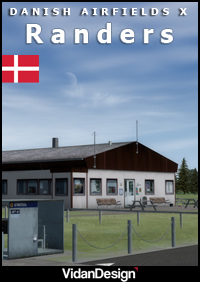 •Refill your tanks and change your loadout at the airport. •Handle the effects of weight shift when dropping dusting agent from your aircraft. •Tweak every aspect of the simulation to your liking. •Save or load settings profiles. For further information please download the full documentation from the CropDuster X website. Now that I have more experience with the current version I want to revise the rating I originally gave it based on how much I'm enjoying using the program. I would beg to differ with the previous comments describing CDX as boring. 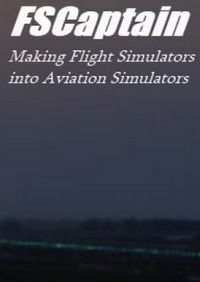 For those interested in light aviation and like to simulate low and slow flight, this program has allowed me to integrate the realistic rural sceneries of Orbx with the detailed purpose built AG aircraft accurately modeled by Alabeo, some simple scenery enhancement by ISD3, altogether into a most accurate simulation of the world of cropdusters. 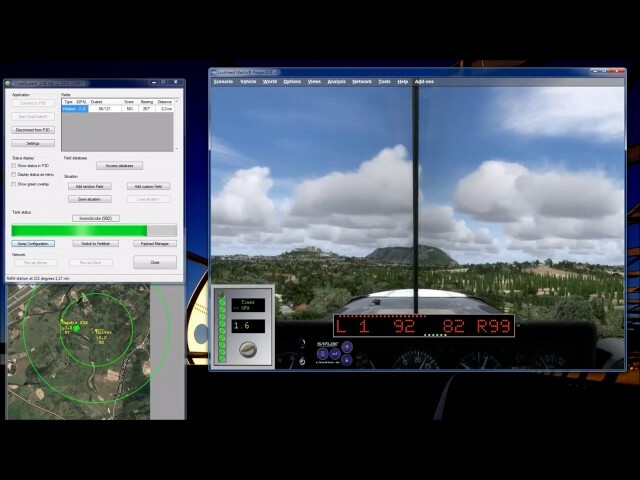 This is precision pattern flight simulation at it’s finest. 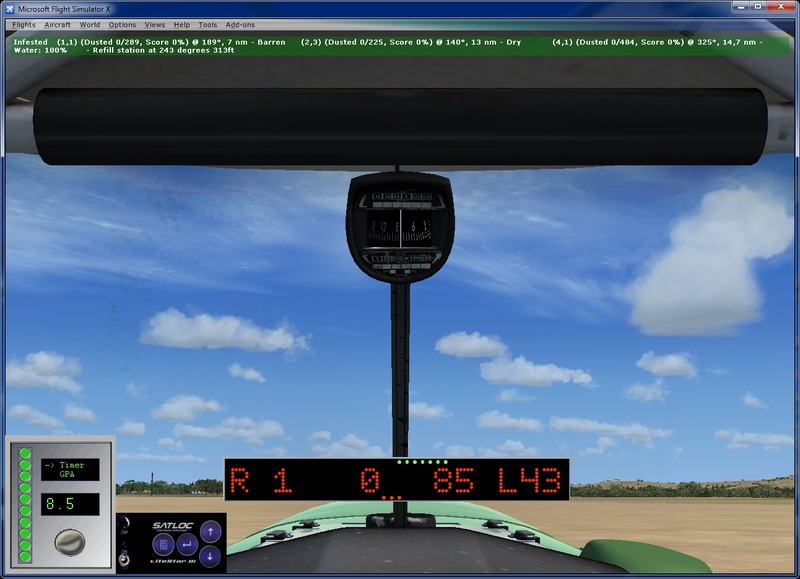 CDX integrates an accurate representation of the SATLOC litebar into the cockpit, a sort of localizer guidance for each of the passes that are required to be at the correct height, speed and track to efficiently spray the field. CDX provides the sim pilot a rating of how accurate the flying has been. The litebar is not easy to master, and for me , spraying a field is much more difficult than landing the plane correctly. A second part of the program involves treating your crops in a timely fashion to avoid their demise . This I haven’t yet gotten into yet and can’t comment. But the concept sounds brilliant. What I like about the newest version of the program is that I can designate any of the Orbx simulated farm fields as the one to be sprayed accurately. I have found you can easily enhance this field(s) with 3D crops as opposed to just the textured tile which adds greatly to the visuals. 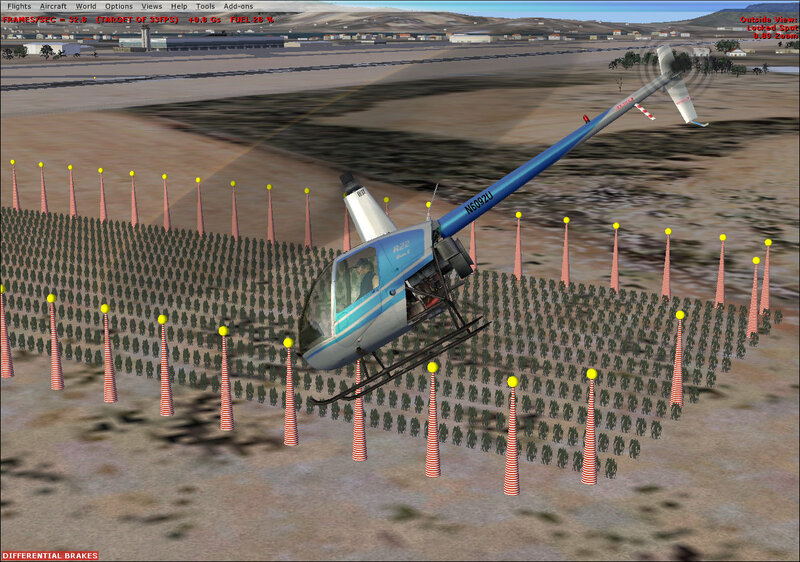 This can be done using ISD 3 ( Instant Scenery Designer) and a typical field can be enhanced for crop dusting in about 15 min. 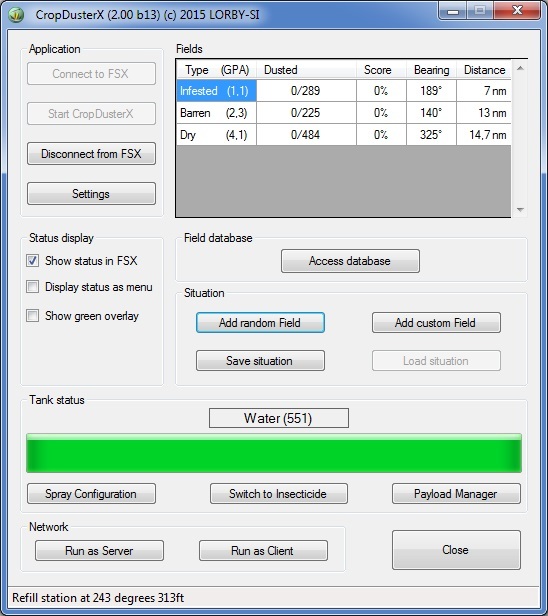 CDX developer ( Oliver Binder) is now in the process of integrating 3D crops directly into the CDX program. I should also mention he has been very helpful in answering many of my questions and is truly interested in refining and improving the product as much as possible. In conclusion, I was starting to find navigating from one airport to another as a little boring, particularly enroute. I looked forward to mainly executing the approach and landing correctly. 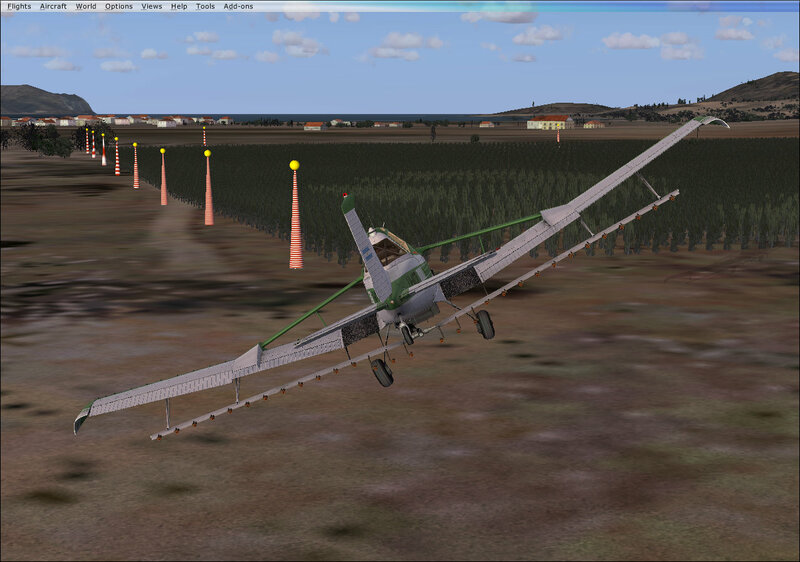 Cropdusting is a controlled landing avoidance every pass and it is anything but boring, even simulated. Check out the real-life vids on You-tube ! The addition of less successful than excellent FireFighter X (the same publisher). It is not possible to use planes and helicopters with spray unit with "i" button effect. When you are flying at low altitude green fields disappear... In contrast to FireFighter X the game boring. This product does not contain any aircraft. It only contains the mechanics needed to generate the feature as described.